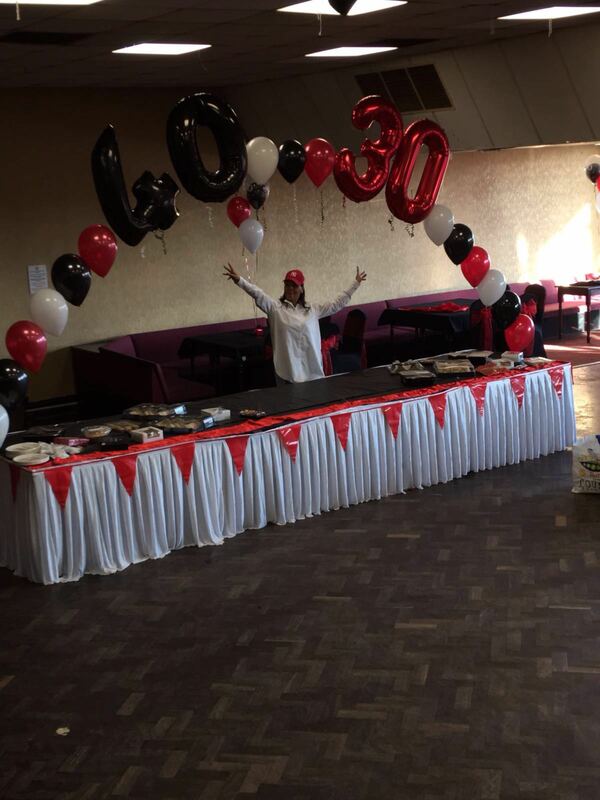 Joint 30th & 40th Birthday held at the Wyken Working Mens Club in Coventry. Large Arch over the buffet table with large foils numbers to add to the effect. 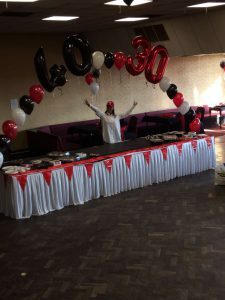 We were Working alongside Faye from Wild Orchid Events on this one and the room looked fantastic when she had added some chair covers, bows and table cloths.